The monolith of brick and limestone towers over the grounds below, awe-inspiring and formidable. At just shy of the century mark, the old beauty queen, fresh off of an unprecedented restoration, is as commanding and elegant as she was when she was built. After so many years, she has no shortage of stories to tell, some of which seem to not have reached their conclusion. The sound of a long-lost cat scratching at the door can be heard in the middle of the night. A forlorn World War II soldier can be seen wandering the halls. Pianos start playing in the grand ballroom with no one around to push the keys. Whether they remain to deal with some unfinished business or simply because they weren’t quite ready for the party to end, some of the guests of yore have never truly checked-out. 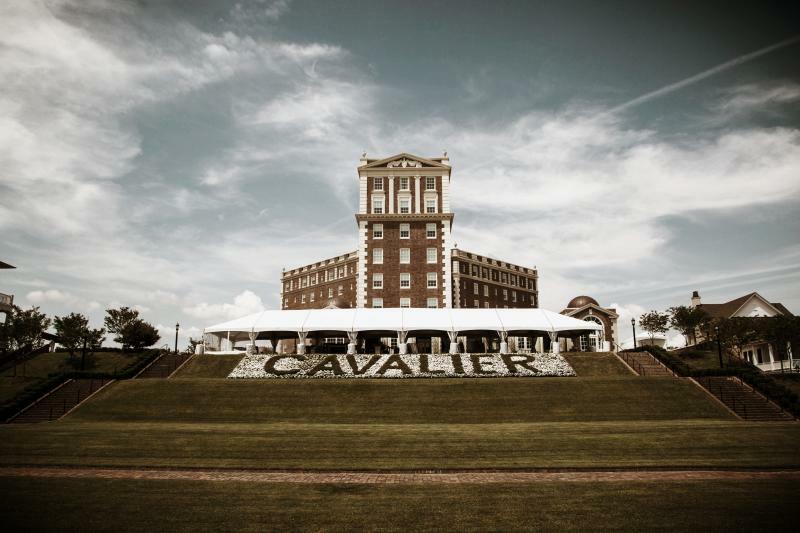 For several years before its renovation began, the Cavalier Hotel would close to guests during the winter months, before reopening again in the spring. While phone calls at all hours of the night from guests are nothing new for receptionists working the late shift, when the hotel is presumed to be empty, persistent calls from the sixth floor in the dead of night are a little strange – especially when nothing can be heard on the other end but the distant warble of jazz. Night watchmen would be sent to check on the rooms that were calling, only to find them empty. It turns out that the sixth floor is a particular hotbed for hair-raising haunts. In 1929, the founder of Coors Brewing Company, Adolph Coors’s lifeless body was discovered on the grounds of the hotel, after having checked in to his sixth story guest room earlier in the week. Since that fateful night, the front desk has received many reports of peculiar occurrences from inside the room; random unexplained cold spots; windows opening in the dead of night; even voices and shuffling sounds coming from the corner of the dark room. If you’re looking to avoid ghosts, you might want to keep climbing once you get to the sixth floor. Perhaps this is why many guests have reported encountering a kindly older bellman on the stairs leading up from the fifth floor, warning of ghosts up ahead. The problem? The Cavalier hasn’t employed any bellboys that match his description in decades. The historic hotel stands tall today as a time capsule of opulence and grandeur. In the early years, her halls were filled with the traffic of society’s elite. Presidents, movie stars, writers, musicians and even old Scarface himself, all made their way up the hill across the Atlantic to be immersed in her elegance and to see and be seen. Her walls reverberated with the distant silky whirr of Gershwin emanating from the grand ballroom, while the subtle suggestion of cigar smoke lingered overhead in a fragrant haze. It was hard for guests not to be enraptured by her mystique and even harder to leave when the band stopped playing. Perhaps, that’s why some of them never did.